CALL (260) 488-8122 TODAY !! 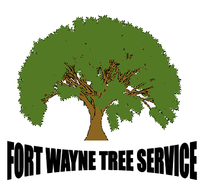 Tree Service Fort Wayne is your most affordable tree removal & trimming company in Fort Wayne, Indiana. We save home owners time & money without sacrificing any amount of quality to our services and ethics. Found yourself the victim of dangerous or emergency tree removals? We have the cranes, big lift trucks & all the other necessary tools and of course, very experienced tree climbers & ground crew that is second to none. Give us a call. We're here to save the day. Besides the fact that we can climb trees like spider man and feel like we should star as the next Peter Parker. here are some of the top qualities why our company is awesome!! Fair and Honest Pricing: We haven't earned the reputation that we have by over charging our customers and low balling quotes like some of our competitors. We have done so by caring for our customers as much as we do our employees and won't ever take advantage of you. We know that not everyone didn't grow up working with or around trees and is why we go over everything in as much detail as you want and won't leave you wondering where your hard earned money went. Experience & Team: With over 25 years of experience in the business under our belt, we guarantee that there is no job too big or too small for us to handle. We have had the same group of guys working with us for years and have become a small family to each other. You won't find another tree company with a more reliable and friendly group of guys that work efficiently with each other to save you time and money. ﻿Your Time is Valuable: ﻿There is really no other way to put this other than I simply guarantee that we will not waste your time or money if you give us a chance. Whether it be an emergency tree removal, or tree doctor & surgeon work, we will never take longer than we need to get the job done. We Genuinely Care: The work that we do is the first thing that people see when they come to your home or business and we make it stand out. When working with one of nature's most precious and beautiful natural resources, we use only the best equipment that is out there to ensure both ours, and your trees, safety. From our tree trimmers, pruners, & cutters; to our stump grinders, we always have the most up-to-date gear. We are the fastest and most efficient emergency tree removal service in Fort Wayne. We make situations like these a priority and continue to impress our clients with the speed at which we work at to completely remove any fallen or damaged trees that can be extremely hazardous if not dealt with promptly. Although we hope that you don't need to call us for this situation, you shouldn't trust anyone else to clean up if it does. With the experience that this company has, we have become experts at determining which trees are at the most risk of falling in future storms and want to help you prevent any damage to your property. We are more than happy to come and see if there might be any trees on your property at risk and will give you a free quote on what we think would be the best and safest route to take. Are there trees that are beautiful parts of your home but have gotten to the point they are blocking off too much sun from your lawn? 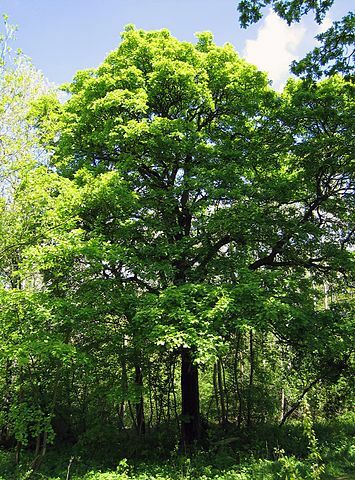 Maybe only a few thick limbs are starting to grow into other trees or parts of your house? There are a wide variety of ways to cut and prune trees and we have mastered them all. The way a tree is pruned or cut can greatly effect the looks and overall well being depending on the species, age, and size of the tree. Let our licensed & insured arborists impress you with their knowledge and discuss some of their ideas for both long term, and short term plans. Not only are stumps not the most attractive thing in someone's yard, they can also be potential health hazards to you and nearby trees and plant life. Certain fungi grows off decaying trees and can easily spread if not dealt with quickly. Children are also at risk if playing outside near a stump with potentially sharp edges. Let us prevent any of that from happening and make it seem like it was never even there. We own and operate a number of different machines to do these procedures that allows us to safely and carefully remove any size stump on any angle of land. We will also discuss future plans for the area with you and that will determine how deep we want to dig in and can advise you on what to do when we're gone. No obligation and no pressure, we will come to your home or business to do a FREE evaluation and will go over in detail what we think would be the best for you. We don't do any hidden fees or charges and will make sure you are 100% up to speed with everything before we go any further. So what are you waiting for? Call us today and let our knowledge and experience speak for itself.